FlightSafety offers comprehensive professional simulation-based training for the Airbus Helicopters EC145. Our highly qualified and experienced instructors, advanced-technology Level D simulator and integrated training systems help ensure proficiency and safety. EC145 training is available in Shreveport, Louisiana, at the Helicopter Flight Training Center – Metro Aviation, and was designed to meet the professional training needs of all EC145 operators, offering pilots the resources to achieve proficiency and safety. Customized training programs are available to meet specific training needs. Our mission-specific training tailors instruction to your operation, including offshore, executive transport, emergency medical services and law enforcement. Training courseware and training devices for the Airbus Helicopters EC145 were carefully engineered using extensive flight test data. FlightSafety’s new Master Aviator Program is available to Airbus Helicopters EC145 operators. This program builds on your proven flying abilities with challenging training that expands your skills and prepares you to react correctly to a broad range of demanding and unexpected situations. Using our high-fidelity graphics package, our simulator features special visual scenes and effects to give EC145 operators the most relevant training available. 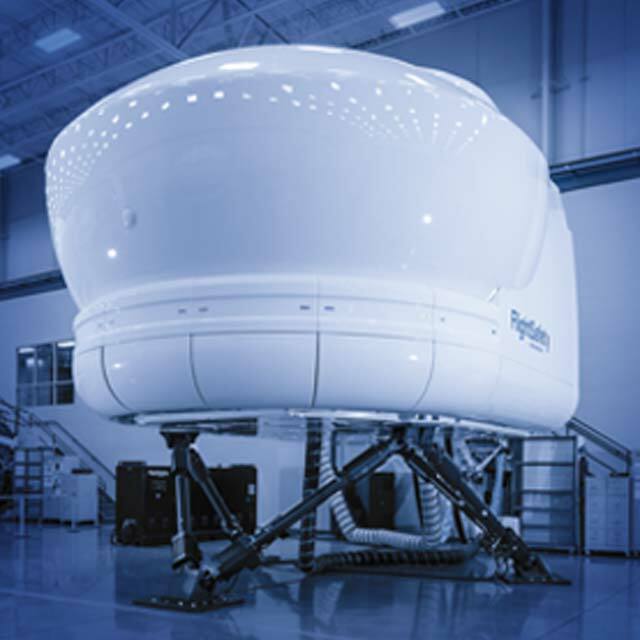 The simulator offers our exclusive VITAL 1100 visuals, continuous global high-resolution imagery, a full range of environmental conditions and 60-inch electric motion and control loading. Our simulator is night vision goggle compatible with FAA Part 142 NVG Initial and Recurrent training available for delivery. A wide variety of specialty and enrichment training is available through our eLearning and LiveLearning courses, in addition to our instructor-led training programs.